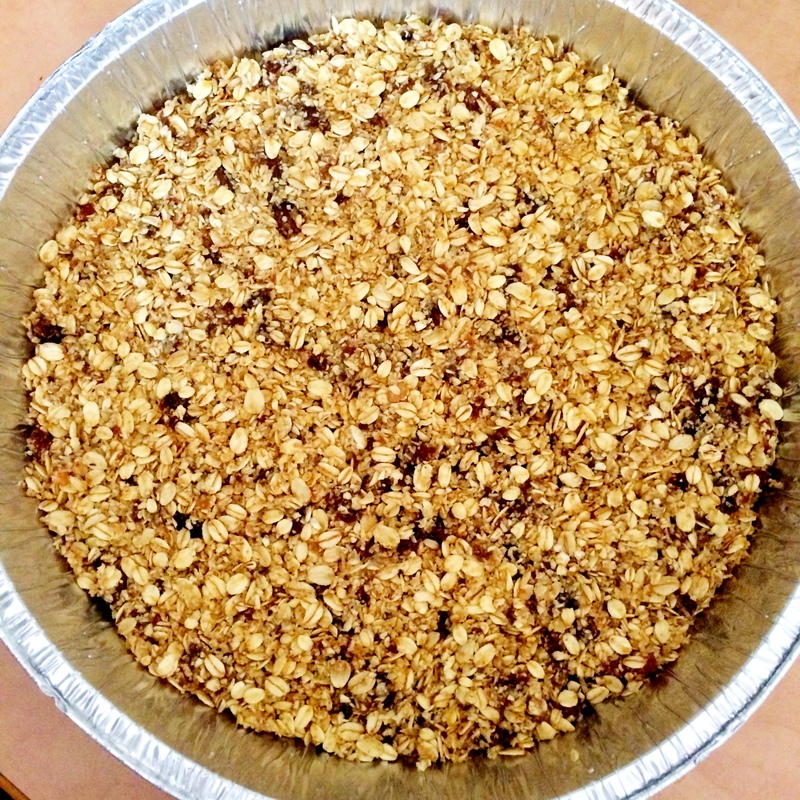 baking | You Cooked What? Pesach, a time of matza, horseradish and lots of yummy food. We decided to have cold meat for lunch today but the kids wanted rolls. So I grabbed some matzo meal and made the yummiest rolls. Heat oven to 190C and grease a baking tray. Add all dry ingredients to a mixing bowl. Add the boiling water and the oil and mix. Once cool add the eggs and mix. 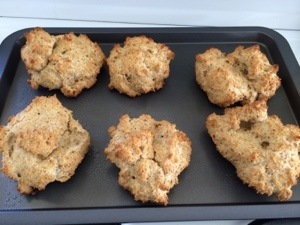 Divide into six portions and place on baking tray. And that’s it. They were very light and fluffy and went well with the cold meat and horseradish. Babke is a traditional Eastern European Jewish cinnamon bread. Since it is a cold and miserable Jozi afternoon I thought a slight of warm babke, slathered in butter and a cup of tea would go down nicely. Set oven to 190°C and grease a loaf tin. Mix the half cup brown sugar and the cinnamon together and set aside. Beat eggs, sugar and salt until thick. 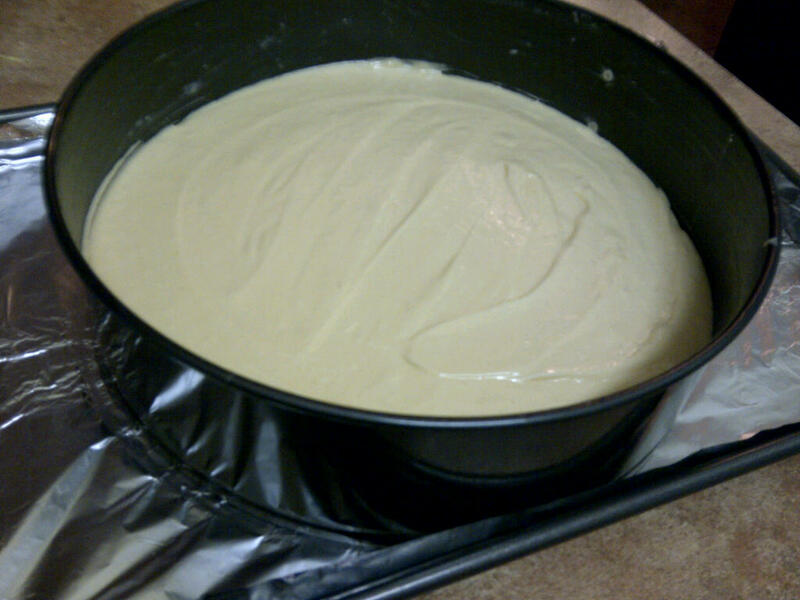 Heat butter and milk and add to the egg mixture. Add flour and baking powder one cup and teaspoon at a time and mix well. Pour half the mixture into the greased tin and then layer half the cinnamon and sugar mix over. 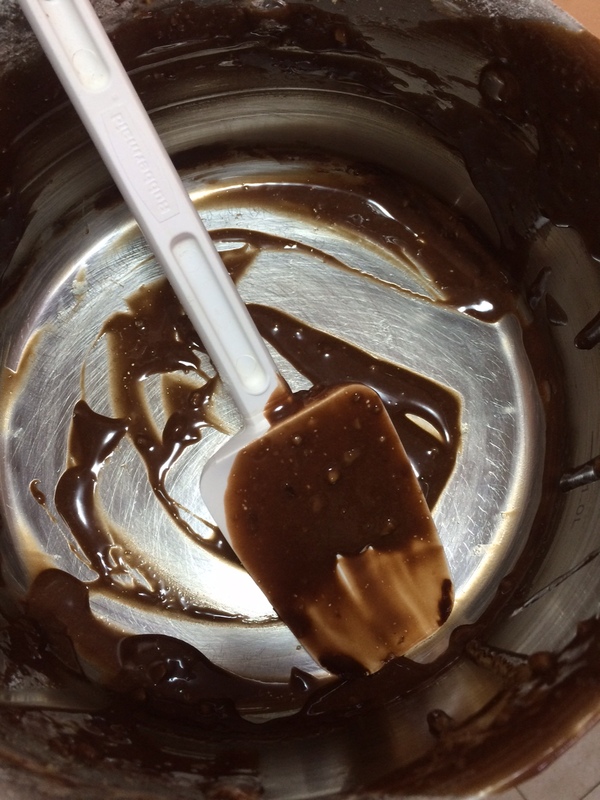 Pour the remainder of the mixture into the tin and sprinkle the remainder of the cinnamon and sugar mix over the top. Press 4 blobs of butter into the top of the babke. The amazing Tanya made what looks like amazing icing this weekend! This weekend I was craving cake. 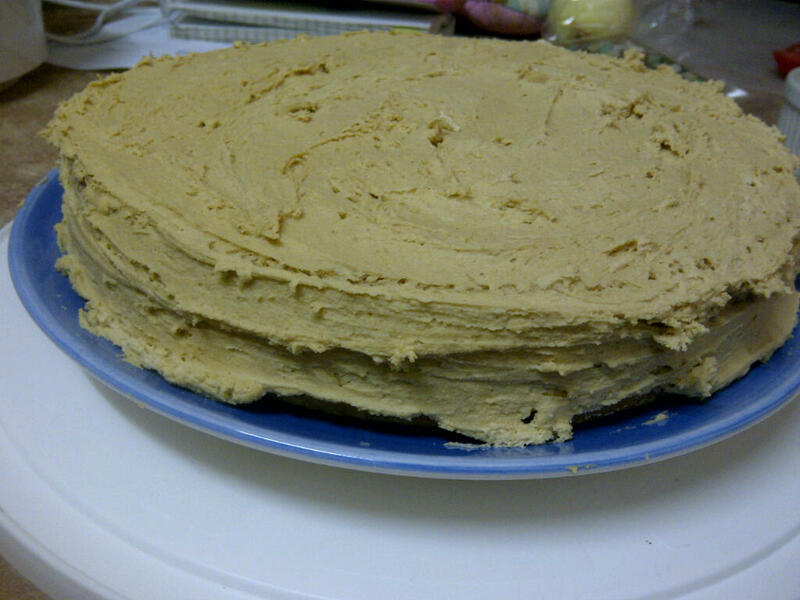 But it had to be vanilla sponge cake and peanut butter icing. I’ve never made peanut butter icing. 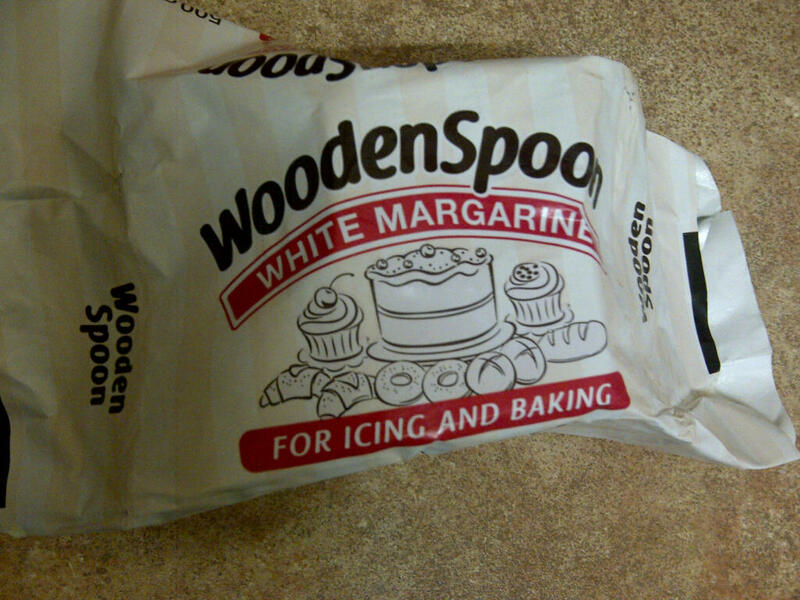 As luck would have it, I had a visit from a friend of mine, who is a pastry chef (check out her site which is soon to be updated: http://www.schweetemporium.co.za/) and she gave me a recipe for icing! 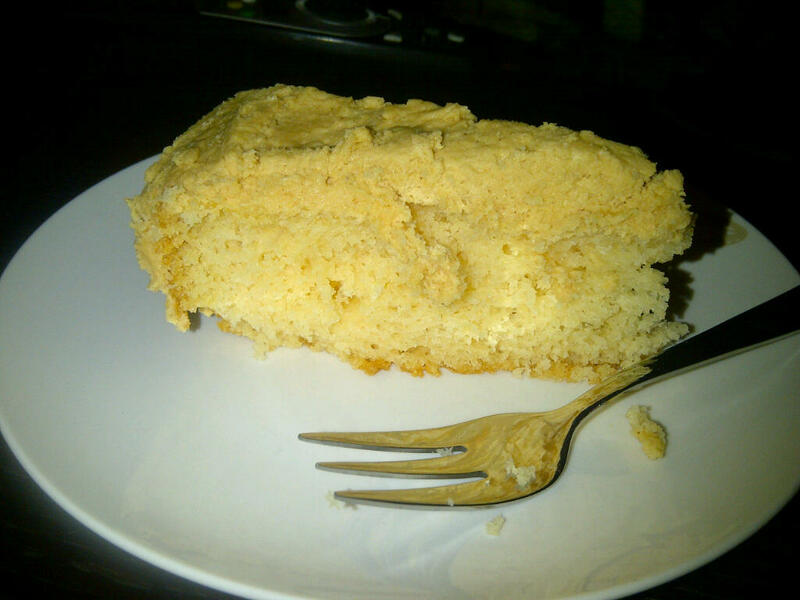 As for the cake… I discovered this box cake a few months ago and I am in love. So easy (obviously) and so divine! Just add water, oil and eggs! 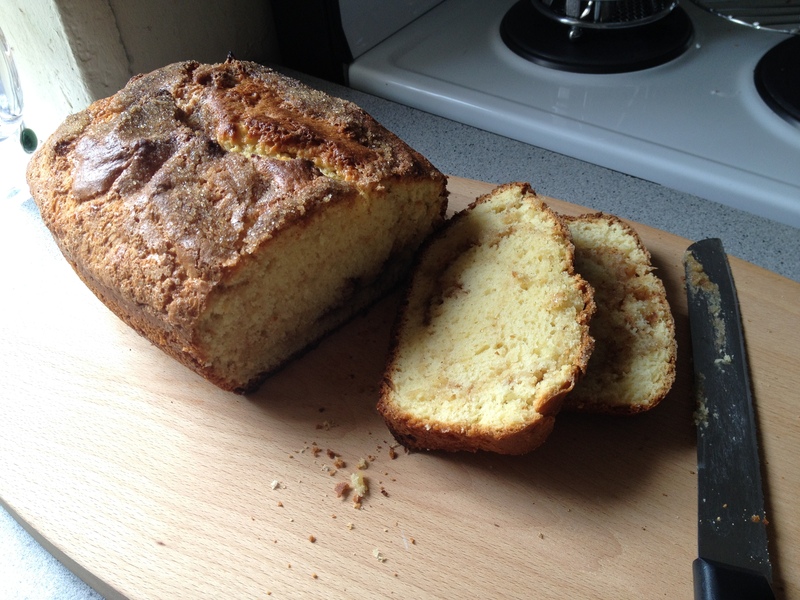 This is the recipe I used, But I may just halve it again when I need more… I had enough for 3 cakes. 1 cup smooth peanut butter. 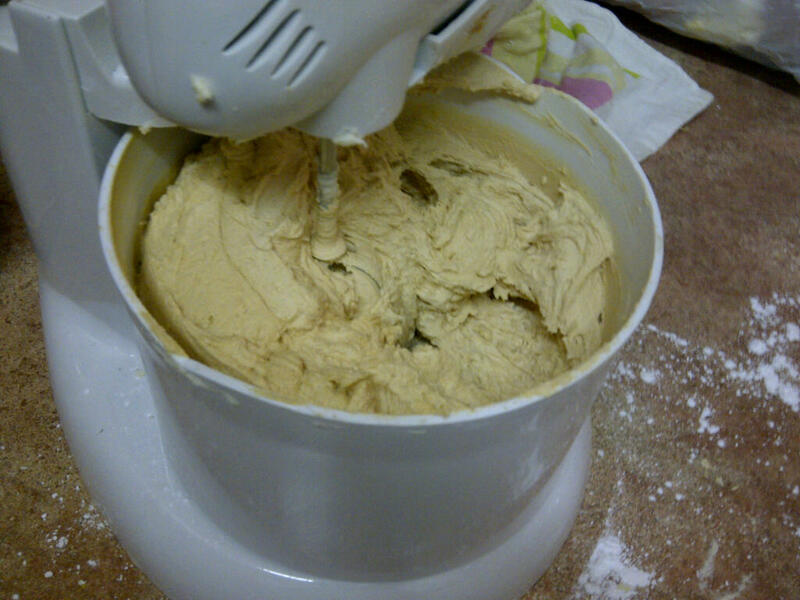 With an electric mixer, blend chopped up butter, icing sugar and eggs. Blend, blend, blend for a long time, until light and fluffy and white. Leave icing for 15-30 minutes. Add peanut butter until you are happy with the taste… blending as you go along. Once the cake (or cupcakes!) are cooled, ice as desired! 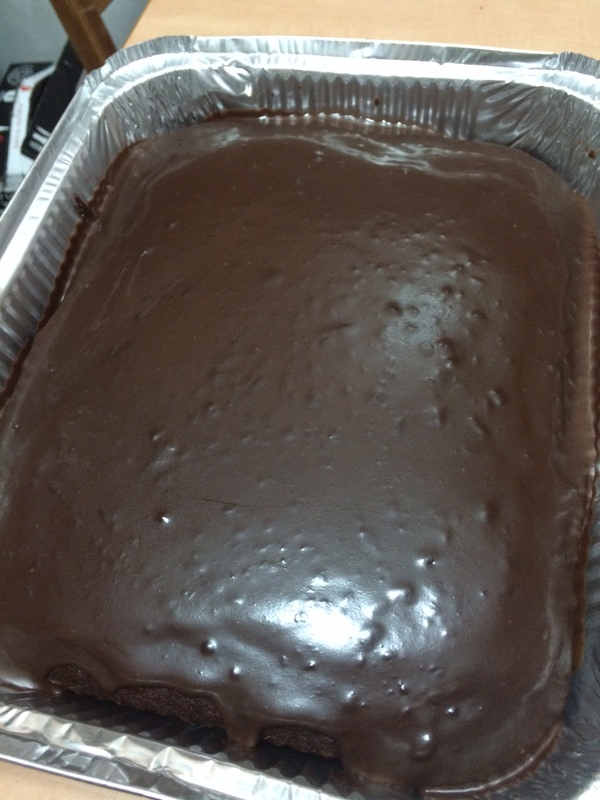 My icing skills are non-existant and this doesn’t look like much – but my tummy loves it! Eat and enjoy… this really hit the spot! 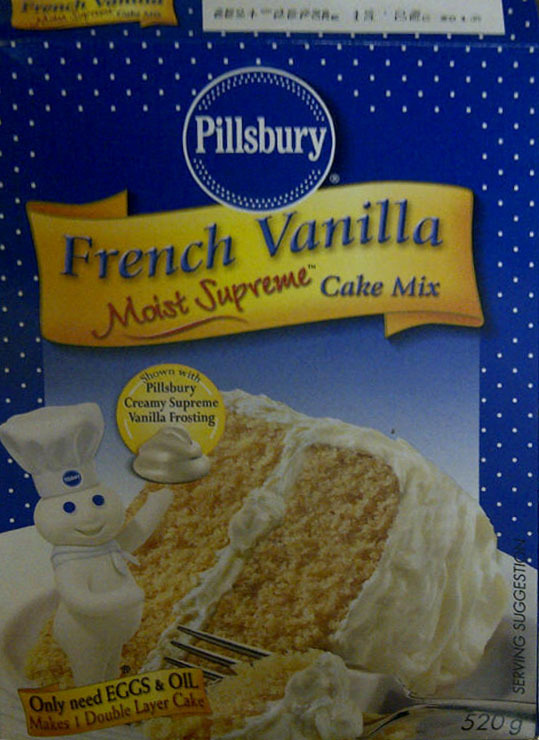 This box cake is light and fluffy and moist and has such a deliciously delicate vanilla taste – I love it! As for the frozen icing… according to my chef friend, you just microwave it for 10 seconds or so, until it is back to the normal consistency! Unfortunately I am out of baking stuffs so I thought I would do something baking related. 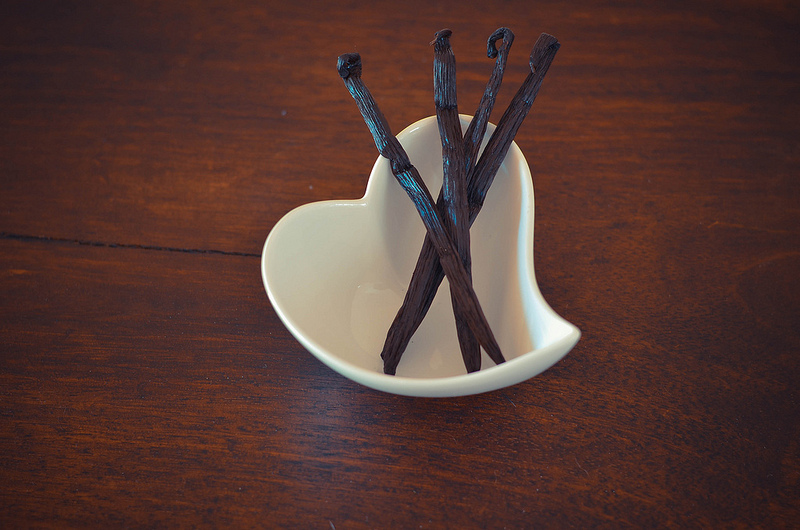 Last December I saw a picture on Tania‘s blog of her home made vanilla essence. A few weeks ago I came across a post on Pinterest about making home made vanilla essence/extract and voila an idea was born. 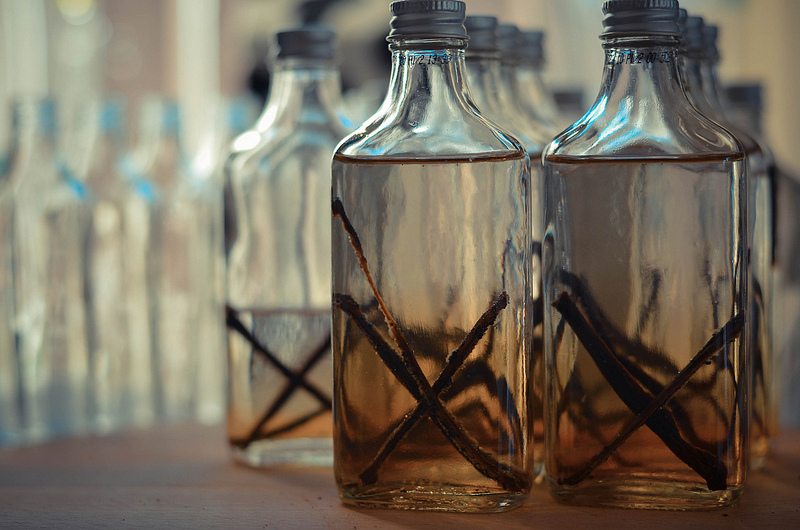 I decided to make some home made vanilla essence that I can give as gifts. I found the sweetest little glass bottles at the Consol store in Woodmead, 20 bottles cost me R25! Wash your bottles in warm soapy water and rinse well. 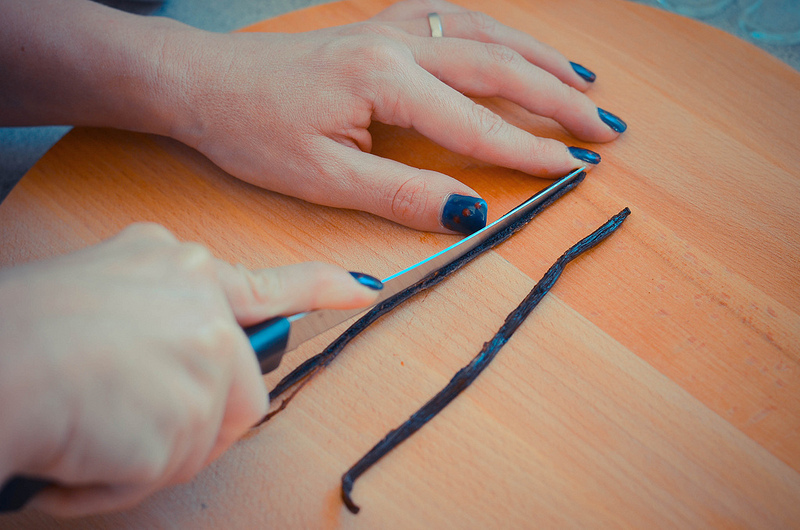 Slice your vanilla pods length wise and then slice each half length wise again. The vanilla ‘caviar’ or seeds may come out of the pods when you cut them, just scrape them up with your knife and pop them in the bottles. 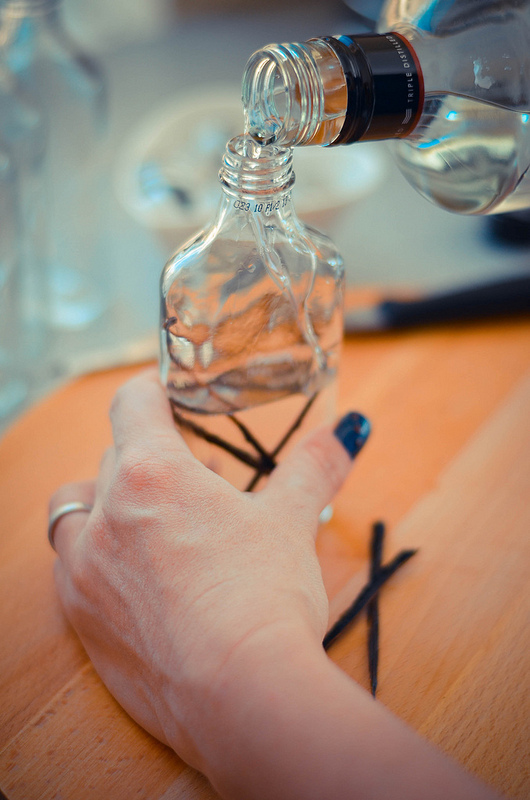 If your bottles are short then cut the pieces in half. 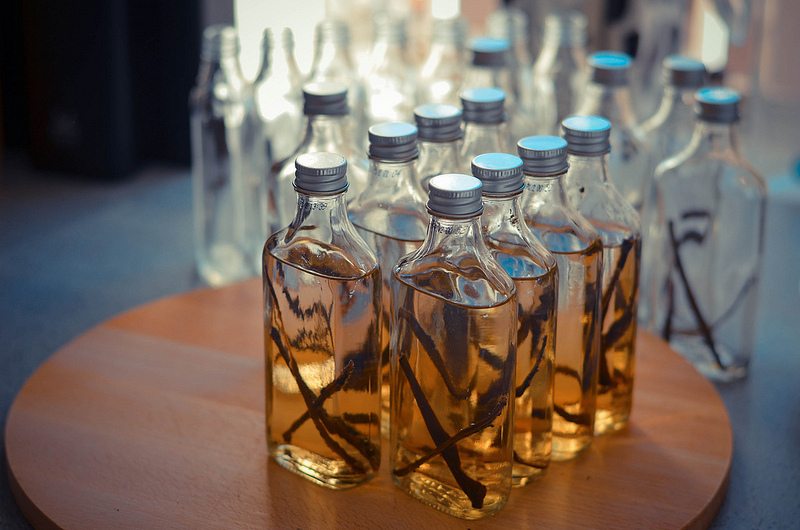 Place 2-3 pieces (depending on bottle size) of vanilla pod in each bottle. Pour vodka into each bottle. It would be ideal to use a funnel* but if, like me you dont have one then just pour really carefully and slowly. 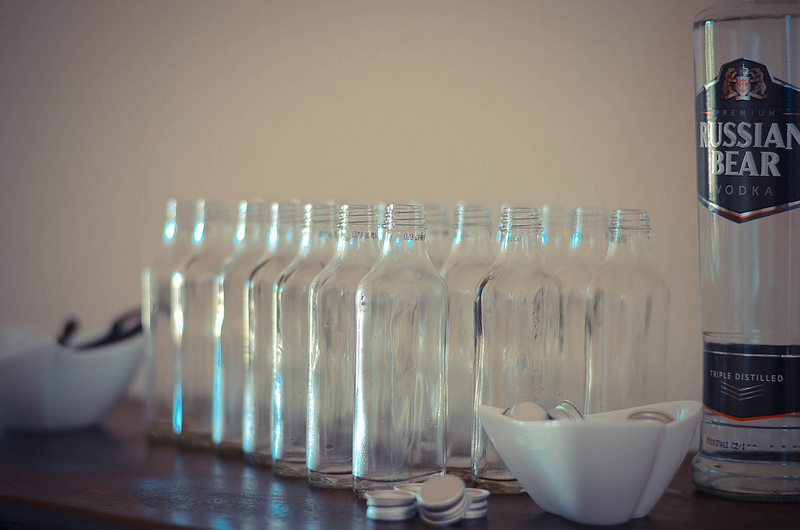 Place the lid on the bottle and store the bottles at the back of a cupboard for 3-4 months before using them. See how the colour has changed, thats after an hour or so, just imagine how rich it will be after a few months! Note: All the photos in this post were taken by my amazing husband! 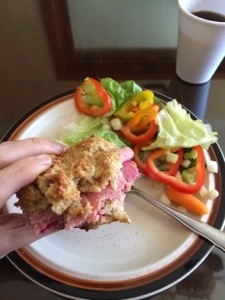 More and more I find myself experimenting with baking and cooking and then sharing the successes on my blog. So much so that I decided to create a separate space for those successes. I will be adding all my current posts here and I will try take as many pictures of the process and finished products too, something I have been a bit slack with. Im also going to be having guest contributers so if you want to add a recipe please leave a comment and I will be in touch.